In this reflective article, I will be sharing my personal belief about why I think research as a subject and practice is hegemonic in nature. I will also talk about the issue of several students dropping out from universities because of the pressures of research work. For a long time, I had planned to join M.Phil. 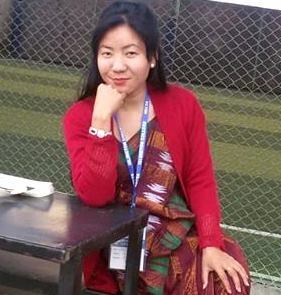 in English Language Education program at Kathmandu University School of Education (KUSOED). Some of my fellow friends had already completed the program and were working as faculties in KU. Some of my friends were still struggling to complete their dissertations. They in a way inspired me to join KU for the program. However, the same friends, those who graduated and those who are still under the surveillance of dissertation committee, shared this bitter reality to me – “doing RESEARCH is pain in the neck”. Due to unrelenting pressure to complete the research work on time, I have seen and heard many of my friends dropping out from the program. But I was determined to face this situation. I was committed to doing my best in all aspects of my M. Phil. course. Initially, things were quite manageable at KU, the classes and assignments went smoothly. I also learned about a few terminologies – the buzz words of research like dominance, emancipation, positivism, post-positivism, interpretive, critical, integralism and HEGEMONY. In the class, we learnt that research means to search or re-search for new knowledge, to establish the new norms, values and meaning. From positivism (a rigid perspective) to post-positivism, from interpretivism to criticalism, we advocated multiple perspectives, realities, meanings, values and methodologies in the classroom. Meanwhile, the discussions I had with my friends (who graduated from KU’s M.Ed.) on ‘Research Methodologies in Social Sciences and Education’ were quite terrifying. Their experiences about the pressures of writing and defending the research proposal, working tirelessly for many months, reading literature, drafting the document, re-writing these and so on, were intimidating for me. These realities and terminologies got engraved in my mind and heart as a giant ghost, against which I found myself as a tiny dust, a novice learner, a crawler, a breast feeding child, a tyro. On the first day of my research class, I was expecting the hope and aspirations of a new sun and a warm morning. A professor started his lecture and, to my surprise, wrapped it up within two sessions. To make the matter worse, his concept on research left my highly expectant mind with mixed feelings. We were trying to see the world through the lens of multiple realities, multiple perspectives, multiple meanings, multiple knowledge, multiple values and post-modern paradigm. We were triangulating the (data) realities, (methodologies) way to search the new knowledge and (theory) previously set up value to come to the real sense of qualitative strategies of inquiry. However, these two sessions of my professor turned back my expectations towards the 19th century’s positivist approach in real classroom praxis. The deep rooted concept of extreme positivism in the manner, delivery, discipline, and the way of commenting to novice learners like me, left a hideous mark on my mind, which I felt as the mark of HEGEMONY of research as a subject and praxis. Hegemony, as stated by Fairclough (2010), is the power over society as a whole of one of the fundamental economically defined classes in alliance (as a bloc) with other social forces but it is never achieved more than partially and temporarily, as an ‘unstable equilibrium’ (p.61). Research in KU, with the references to above experiences of my friends and my own perception, positions itself defiantly and powerfully among other subjects creating an artificial identity. And hence I feel that research is hegemonic in nature. To put in other words, the group of research scholars, committee members, and as a whole, research as a subject in a real sense has more power, control or importance, which I think is overtly imposed over other subjects and to the students. Due to this hegemonic nature of research as a subject to be studied and a praxis to be done in a controlled way, I hardly attempted to do my class presentation well, I hardly completed my proposal and other assignments and I hardly took part in classroom discussion as I did not want to make any mistakes in front the professors. I never made any comments and thus lost my confidence, and I accepted everything from my teachers and colleagues. The deep rooted terrifying picture of the giant known as research work scared me so much that I did not touch or turn the pages of Creswell, Cohen, Manion & Marrison and Denzin & Lincoln. That hegemonic stereotyping script made so worried till the day of examination. We focus on qualitative strategies of inquiry (Creswell, 2011) to establish multiple realities and search for the multiple perspectives. But, why do we still go back to quantitative inquiry and positivists approach to deal in the classroom, establishing an overall dominance over all subjects? Are we still narrow-minded or do universities still prefer traditional approach? If it is not hegemony, why is research a problem for many students and why many students feel the brunt and drop out? My reflection on the subject, I hope, will be an emollient to sooth and pacify my feelings. Fairclough, N. (2010). Critical discourse analysis: the critical study of language (2nd ed.). London: Longman. I am so impressed with your article, especially the delineation of self-reflectivity. In professional practice, it is impossible to completely detach our professional ‘selves’ from our personal ‘selves’. They combine together to form our “Use of Self” in our work-such as Self-Awareness, Reflexivity in Writing, and Reflection and Critical Reflection. Your self-reflectivity on hegemonic nature of research is at least so true to me. I am almost done preparing my research proposal and I am quite hopeful that I won’t have to face any ‘hegemonic’ treatment from my research guides and the research committee. I am just a little annoyed about the format/structure we must follow while writing the dissertation. Don’t get panic, you will just end up with what you intend to write and follow the way you want with out changing the basic criteria and requirement. The things we need is just the clear justification on what we wish to do. These structures are the guidelines for us not to go far beyond the set criteria. You wont be victim, as I sense. Thanks to see the reflective self as in the form of an article. In fact, sometimes we feel so detached and isolated from the trends we have been practicing which generates the thought in a streaming line up. Basically, we give such practices a name ‘Postmodern’, but the practices we have is still antique and root we have is still the positivist. Thanks a lot.